Jean Sasson grew up in Louisville, Alabama, a small southern town with a population of only eight hundred. As a child, she was fascinated by stories of countries and cultures different from her own. This curiosity continued into her adult years, ultimately propelling her to find work in a foreign country. 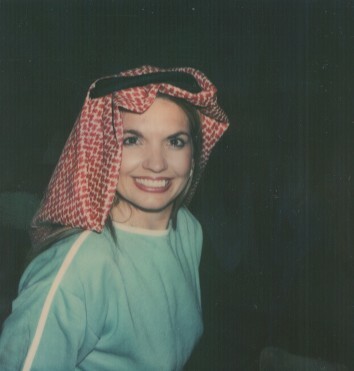 In 1978, she took a job as an administrative coordinator at the King Faisal Hospital and Research Center in Riyadh, Saudi Arabia. During her ten years of living in a Saudi neighborhood in the Kingdom, Sasson developed a strong network of friendships with Saudi women. Through them, she began to understand the day-to-day reality of being a female in a male-dominated society where Arab women are without legal recourse from individual acts of violence and cruelty. Sasson clearly states that, �Although I did have the pleasure of meeting and befriending a number of Saudis who lived customary lives minus the dramas highlighted in my books, I was a sad witness to appalling oppression against women, everyday occurrences that in most other cultures would be seen as shocking violations of human rights.� Although she reacted with horror, Sasson still did not feel that as a single Western woman, she was in a position to bring about change in a rigid social system that has been in place for the last two thousand years. 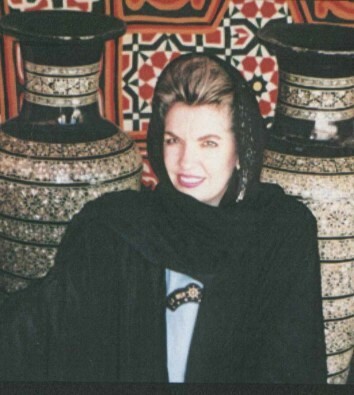 At an Italian embassy function in 1983, Sasson met an extraordinary Saudi princess, the �Sultana� of her books. Establishing an instant rapport, they began a friendship that has grown and strengthened over the years. Although they were from diverse cultures, they found themselves to be true soul mates. From Sultana, Sasson learned even more about the harsh truth of life behind the veil endured by Sultana, her sisters, and her friends, many of them members of the royal family. While speaking on this issue, Sasson continued, �I have been puzzled by the fact that a number of Muslims have completely misunderstood the books written about Sultana and other women in Arabia. I question whether or not the people who denounce the books on Sultan have actually read them. There is not a single incident in the books where the Islamic faith is condemned. If anyone claims otherwise, then they are blindly criticizing rather than speaking from a point of knowledge. However, the men who misinterpret the Koran and apply their misinterpretations to women are soundly criticized.